INCREASING SUPPLY CHAIN EXPECTATIONS: Professionals must focus on strategic initiatives instead of fulfilling demand cheaply. Companies with the strongest supply chains integrated them from end to end. Integrated supply chains have mastered working across business disciplines. Advanced supply chain work with external supply chain partners to save create costs. Cross-functional collaboration and supply chain integration are challenging business goals that many companies deprioritize because their value is hard to define. A new study from the Global Supply Chain Institute finds that not only does internal collaboration create financial worth but also that benchmark companies are leveraging collaboration outside their organizations to create competitive advantages. 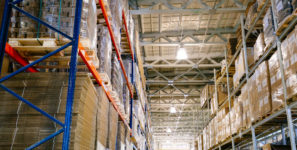 Decades spent pursuing cost savings within internal supply chain functions leaves little room for improvement at this point. As complexity and consumer and shareholder expectations increase, supply chain professionals must retrain their focus on contributing to strategic initiatives instead of solely on fulfilling demand as cheaply as possible. The study identifies collaboration as one of six key elements of creating competitive advantages through supply chain, but emphasizes that supply chains must optimize efficiency through reliability, common values, and end-to-end visibility before these advantages can work. The paper’s sponsor, Maine Pointe, a consulting firm focused on supply chain implementation, finds that driving collaboration excellence across procurement, logistics, and operations yields a 20 to 30 percent gain in savings for many companies they work with. Steven Bowen, the firm’s chairman and CEO, says that integrating these functions using their Total Value Optimization approach creates breakthrough results in terms of cost, cash, customer service, growth, and profitability. “If your procurement, operations, and logistics functions aren’t aligned to work together seamlessly to delight your customers while minimizing excess cost and working capital, you may be leaving money on the table,” Bowen says. Burnette and his fellow supply chain faculty at UT’s Haslam College of Business interviewed 17 leading companies across eight industries to identify common components of collaboration success. They found that collaboration must be emulated by the supply chain leader and that leader must have a solid understanding of all supply chain and other business functions. Company culture was another key element, with trust between departments and a value of and means to account for inventory, quality, responsiveness, and time making significant impacts. Benchmark companies used these elements to share systems and data, facilitate external partnerships, and achieve the ultimate collaboration opportunity: creating effective sales and operations planning. “End-to-End Supply Chain Collaboration Best Practices” is the sixth installment of the Global Supply Chain Institute’s Innovations in Supply Chain white paper series. The study provides multiple checklists for collaboration opportunities and maturity assessment tools.